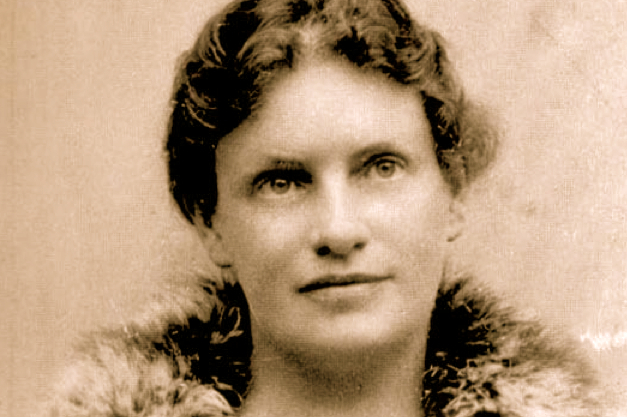 Was Lou Andreas-Salome a writer or a muse, a feminist or a femme fatale? Perhaps Julia Vickers, one of her biographers, evokes her elusive spirit best when she calls Lou "a genius of inspiration." Moviegoers will see the extraordinary extent of her motivating genius in a new film by Cordula Kablitz-Post, Lou Andreas-Salome. (I reviewed the film for World Literature Today.) Lou--the name she preferred to be addressed by--not only guided and aided the creative process; she had an uncanny instinct for where her help would do the most good. Nietzsche said "only after knowing her was I ripe for my Zarathustra." Decades later Freud, who sometimes referred patients to Salome, told her, "I strike up a melody, usually a very simple one; you supply the higher octaves to it. I separate one thing from another; you combine what was separated into a higher unity." Her role in Rilke's life was even greater, continuing for more than two decades. What I shall quite certainly do is make my own life according to myself, whatever may come of it. In this I have no principle to represent, but something much more wonderful--something that is inside oneself and is hot with sheer life, and rejoices and wants to get out. Lou's most celebrated relationship was with Rainer Maria Rilke. When they met in May 1897, she was a 36-year-old author working on her fifth novel and married to philologist Friedrich Carl Andreas. Rilke, at 21, was an art history student visiting Munich from Prague. Songs of longing! . . . But they will be different from how they used to be, these songs. For I have turned and found longing at my side, and I have looked into her eyes, and now she leads me with a steady hand. Lou and Rilke were lovers for three years and stayed close until his death in 1926: she played a crucial role in his development as a writer. Rilke was prone to many doubts and fears, and it is hard to imagine how he could have written the Duino Elegies and Sonnets to Orpheus without Lou's guidance and support. Kablitz-Post has chosen three actresses to portray Lou in the three stages of her life. In the central portion of the film, Katharina Lorenz, who's had leading roles in plays by Shakespeare, Schiller and Albee, plays Lou as a young woman. Some film biographies rely on an existing interpretation of their subject. Milos Forman's Amadeus, for example, is adapted from the play by Peter Schaffer. Kablitz-Post has based her film on her own extensive research, which began many years ago. 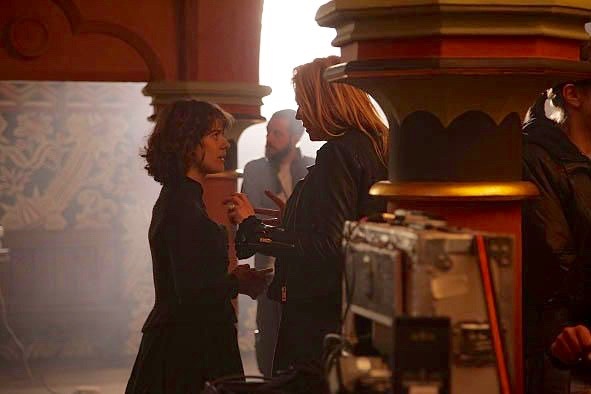 "When I was 17," the director told me, "I read the first biography of Lou Andreas-Salome, written by H.F. Peters, and it fascinated me. She was one of those first emancipated women who lived 100 years ahead of her time. "She never accepted a 'no' from family or society regarding her plans for her freedom and choice of education. She was one of the first women who studied in Zurich in 1881--the first European university that accepted women. For me, she has always been a role model." Kablitz-Post wrote the film's script in collaboration with Susanne Hertel. One of their challenges was writing dialogue for historical figures who already have strong voices in print. Another was adjusting their 19th-century diction so that today's audiences could understand them. "Lou's German is very old-fashioned and complicated," Hertel explained. "We had to 'translate' her quotes into a more modern--of course, not too-modern--German." Lou's letter translated by Angela Livingston, from Salome: Her Life and Work (Gordon Fraser, 1984), p. 36. Rilke's letter translated by Edward Snow and Michael Winkler, from Rilke and Andreas-Salome: A Love Story in Letters (W.W. Norton, 2008), p. 7. Rilke's poem translated by Frank Beck. The director has something of the same Eros as Salome; it is lovely to see the astonishing creative of one woman so many generations later spark and feed the same in another. Will this film be available in the US, through Netflix, with English subtitles? It's one I do not want to miss! "How I Love You, Riddle of Life" is scheduled for release in Europe in early 2016, and I think the chances of a North American release are excellent. I'll post updates about the film, including reviews, as I get them. I'm a scholar of literature and also a life-long fan of Lou's (I even named my daughter after her). I have the beginnings of a film script in my drawer that was begun in 2006 but never finished; so I'm glad others were more persistent. Too few people know Lou still! Hope this film will be good, and thus able to change that. :-) Best of luck! (Here's a short article on Lou I wrote a couple of years ago: http://saytheword.de/lou/). I ordered the DVD but I need English subtitles. Where can I download them?